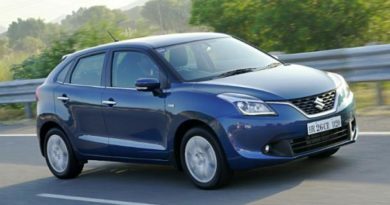 The highest selling sedan as well as one of the most sold cars in the country, Maruti Suzuki Swift DZire has come up with a limited edition. With the rising numbers, the customers, who are always on a lookout for something unusual are less likely to go for Swift DZire. 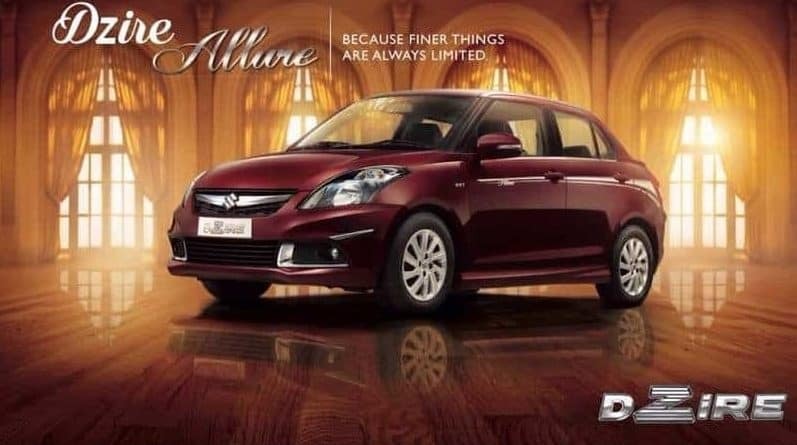 Maruti has now launched a limited edition of Dzire, named DZire Allure Edition to ‘allure’ this set of customers. 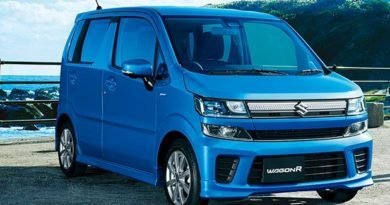 Both its exteriors and interiors have received a revamp with cosmetic and feature updates, as well as additional accessories. On the mechanical front, it remains untouched. As for the exteriors, cosmetic changes have been made to catch your eye in a pool of other sedans. ‘Allure’ body graphics, rear lower lid garnish, chrome bumper protectors and window frame kit are a few things on the outside. On the inside, it has dual-tone seat covers, dual-tone steering cover, white ambient lighting, beige carpet mats and faux wooden inserts on the centre console and door handles. Some other accessories include side skirts, ‘Allure’ car pillows, door sill guards and front centre armrest. It also offers a separately charged equipment in the form of a music kit that can be a part of your ‘Allure’. This kit has an eight-inch, 400W sub-woofer, a four channel, 700W amplifier and 6.5-inch speakers. On the mechanical front, you can either get the one with 84 PS, 1.2-litre petrol motor or a 75 PS,1.3-litre diesel motor. 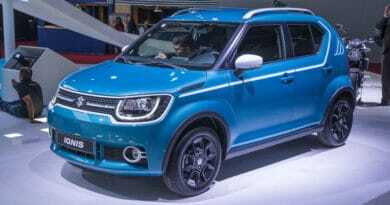 Both these engines are paired with a five-speed manual transmission, and while on one hand, the petrol motor is also available with four-speed automatic transmission, on the other hand, diesel motor can also be paired with an AGS automatic gearbox. The most attractive of all is its fuel economy. It offers the highest power units withing the sedan segment, with 20.85/18.5 kmpl rendered by petrol-run manual/automatic transmission and 26.59 kmpl being returned by diesel-run model with both transmission choices. This limited and latest Allure Edition would cost you around Rs 30,000 over and above the cost of the variant being purchased. The price ranges from Rs 6.15 lakh to Rs 7.06 lakh, ex-showroom, Delhi. Available in all variants of the sedan and in all six colours, you can get it only for a limited time, so hurry!